In what capacity is amp used? Can you give a sample setup flow chart of the use? Thanks! BEST ANSWER: Computer or Audio source (ex. 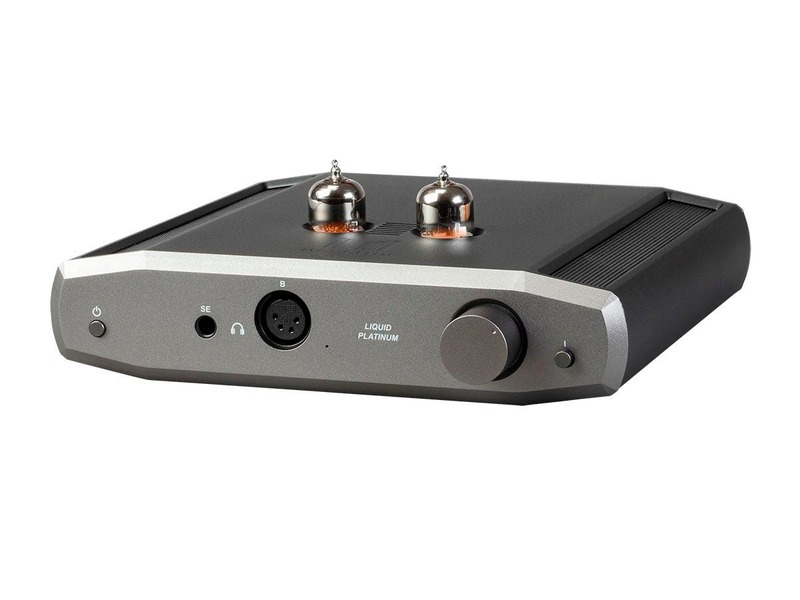 CD player, record player)->DAC(digital to analog converter)->this amp(Liquid Platinum)-> Headphones or use it as a preamp to powered speakers. This is really the simplest flow chart of usage. 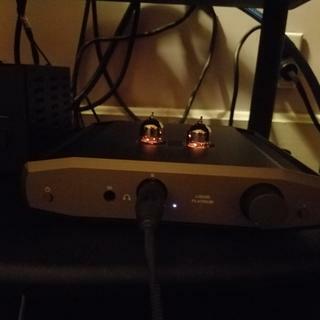 I run a DAC into this using a pair of XLR interconnects, and listen with a 4-pin XLR headphone cable. All balanced is the way to go with this amp. Beautiful results. Sound is dynamic, alive, and engaging. custom built desktop server- to Apl hi-fi DSD-M dac via Verastarr USB. 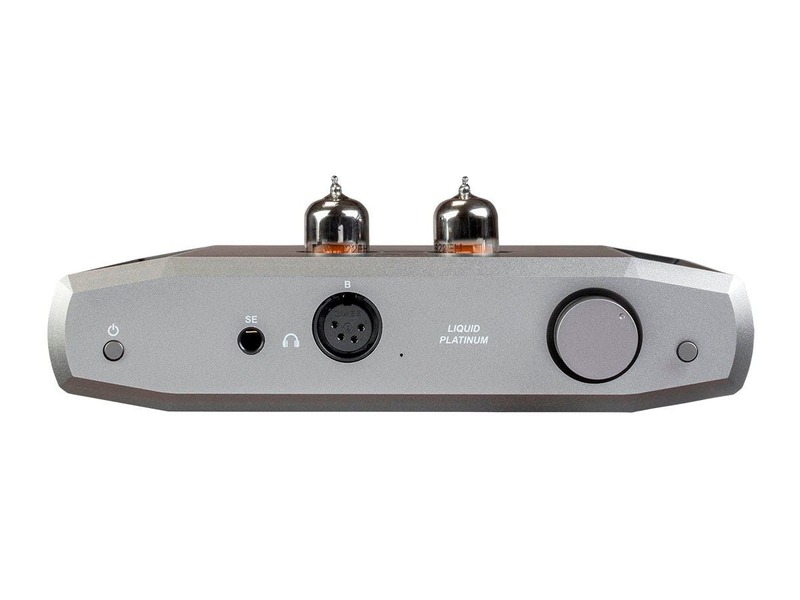 to Liquid Platinum headamp via LessLoss balanced xlr cables. 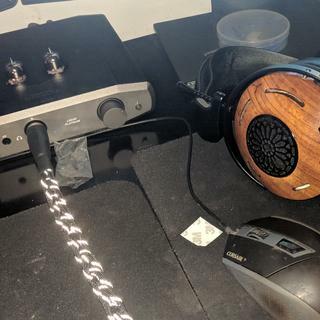 Beyerdynamic T1 custom wooden cup mod HPs. pure heaven combination. Barely used ! Not even 20 hours on it ! How long can you use the tubes for until they need to be replaced? One of the reasons why I have avoided tube amps in the past is that tubes degrade over time. BEST ANSWER: These are preamp tubes. Preamp tubes will run much longer than power tubes. Most war stories come from power tubes that need replacement once a year and need to be biased. My 25W (13194) tube amp's preamp tubes lasted about 3 years. After about one year of daily use. They will degrade slowly so you probably won't hear them degrade but will notice the difference when you replace them and the new tubes are burned in some. To me, it's worth the annual upgrade for the improved linearity of the sound. A pair of very good tubes should be under $100 if you check around for discounts when it's time to replace them. A good average would be around 4,000 to 5,000 hours per tube. I would not dismiss tubes, just because they dont last forever. The benefits are worth it. Tubes are fun and can really add demension, texture and lifelike tone, to the sound. Good quality tubes are good for tens of thousands of hours. Essentially, a really long time. I certainly wouldn't worry about it. What type of tubes (ecc88, ecc82, ecc83, etc) does this HP amp utilize please? 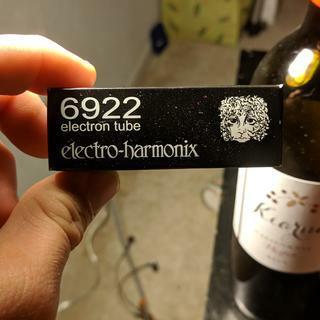 BEST ANSWER: Electro Harmonix 6922s is what they are shipped with. It uses the 6922 Family of Tubes, I traded the original ones out for a NOS pair of Amperex PQs. The results are stunning! Since the amp is delayed again...can we get the full specs? BEST ANSWER: This will be ready for sale on 11/1. When will the full specifications be released? BEST ANSWER: We will publish the specs as we get closer to launch. Any chance it will also work in Europe (230v)? BEST ANSWER: It has a globally universal supply (will work in EU and Australia), but a US plug. You only need a plug adapter to the wall outlet. What tubes will this ship with? Will there not be an 230v option for Australia and Europe? Did Cavalli really have a hand in developing this? BEST ANSWER: Yes. Alex Cavalli himself was at our booth at Canjam to kick it off. These are 100% his designs and his choice of components. 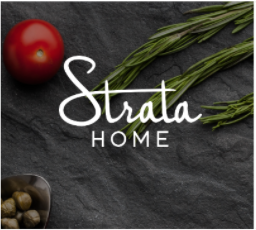 We are excited to be working with him. Is the ETA: 10/5/2018 the most accurate at this time? BEST ANSWER: Yes, should hold. Will this work as a preamp? BEST ANSWER: No, it is not designed to function as a pre-amp. When will the entire specs list be uploaded? With the release a month i'm potential customers would like to know. What are the included tubes? BEST ANSWER: We will be publishing specs shortly. It comes with two Electro Harmonix 6922 tubes. What are the physical dimensions of this amp? BEST ANSWER: According to the review I saw on Enjoy the Music it measures about 8.75" wide by 8.25" deep and about 2" high. Wow today eta said 10/29/18... now it’s 11/25/18....come on now... is this new date going to hold. 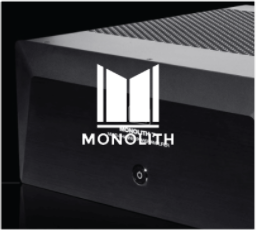 I have received the Monolith Liquid Platinum headphone amp on 1 MAR 2019 , which was ordered through Amazon. There is a difference in the design and appearance of the 6922EH tubes, one enclosed on a flat finished platform and one enclosed on a spindle platform with notched teeth. The notched teeth tube does not glow brightly. 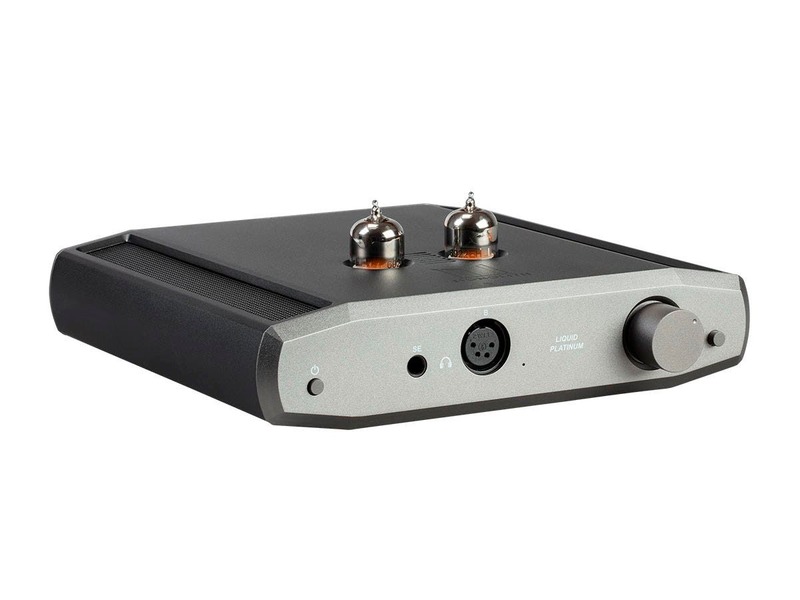 Having just using the headphone amp, I do not notice any sound variation in the left or right channel. Did the Russian 6922EH come in different design architectures? [NOTE: I'm new to tubes, but expected both tubes to emit similar hues and intensities.] Does anyone have any parallel experience with the different Russian tubes they received? BEST ANSWER: There will not be an audible performance difference from this. There is no difference in the performance since the internal tube structure is the same. How bright the heaters appear to be partly depends on how the heater wire is stuffed into the cathode sleeve. The heater wire is one long wire folded over many times so that it’s final length is the about the same as the cathode sleeve. Then the assembler sticks it into the sleeve and wires it to the base. There is some variation in how much the heater wire sticks up out of the sleeve. The more it sticks up, obviously, the more we can see of it and the brighter the tube appears to be. But the performance (meaning the cathode’s emissivity) doesn’t change providing that the heater wire is within a proper range of locations. I am very grateful for your kind and informative response. I have not used or interacted with tube amplification devices for over 55 years. The last time I touched a tube was when I was "gifted" with a large Philco radio by my uncle, who worked in the Communication and Electronical Division for the L.A. County Flood Control Department. Thanks again for taking the time to educate me. Are the specs going to released soon? What is the output impedance of the amplifier? Will there be any sound quality differences between running this amp in fully balanced mode vs single-ended operation? This amp looks as if it might benefit from the use of an optional Linear Power Supply unit, that is more powerful and enhanced than the stock SMPS. 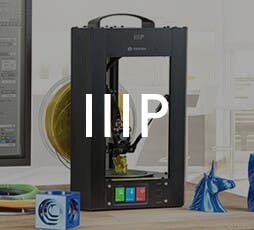 Will Monoprice consider making suitable one available for purchase based on the Specs of the Liquid Platinum (36v, 1.5a)? Will the rca pass-through pass through from the balanced input? Will it pass through with the power turned off? Would it have high/low gain settings? saw it in description, but couldn't find a switch on the pictures. What is the maximum input in vrms on the rca and xlr inputs that the unit can handle without clipping both on high gain and low gain? Thank you. This is one of the few balanced hybrid amps under $1000 available on the market and it is the best in that price range. It could use a gain switch however because it has a pretty high output. Even with HD800S headphones I can't turn the volume up much past 9 o'clock. I didn't like the stock tubes very much but after replacing them with genalex gold lions the sound signature seems a bit warmer in the treble. Not as harsh as it was with the stock Electro-Harmonix tubes. Perhaps they need more time to burn in but my initial listening experience wasn't too great with them. Other than that easily fixable issue, I have no complaints. Lives up to all the sterling reviews.. 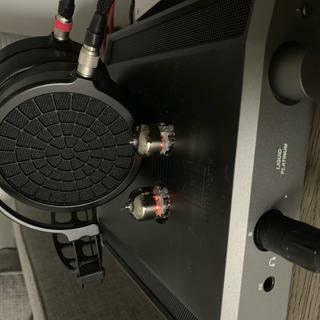 Waiting for my balanced cables to arrive for my LCD-2 phones bit so far am pleased with TRP connection. The Liquid Platinum is one of the best bargains in HeadFi! I switched to a pair of Amperex PO’s and it truly brings back memories of listening to Dan Clark’s Liquid Crimson. A pleasant surprise is how well they drive my Abyss 1266’s, inky blacks, fantastic macro and micro dynamics, wide and deep headstage. I’ve been on a quest of sorts, to find the greatest baron in HeadFi, I think I’ve found it in the Liquid Platinum! It’s an amazing value proposition, especially through the balanced out and with a little tube rolling. Yes, get some NOS tubes and you are all set for some bliss. This will probably be the end game amp for many on a budget. The looks aren’t great, but it’s small enough to hide away (remember to ventilate!) and use slightly longer headphone cables. This headamp blew me away! Liquid Platinum has extended highs and dynamic lows that bring out the best in all TOTL headphones, like the MrSpeakers Ether2. 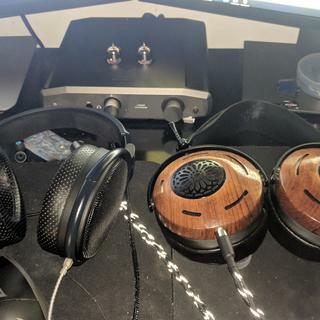 Cavalli Liquid Platinum with new MrSpeakers Ether2. 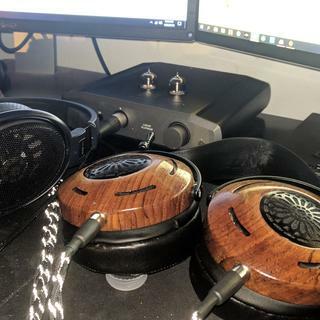 A match made in audio heaven. 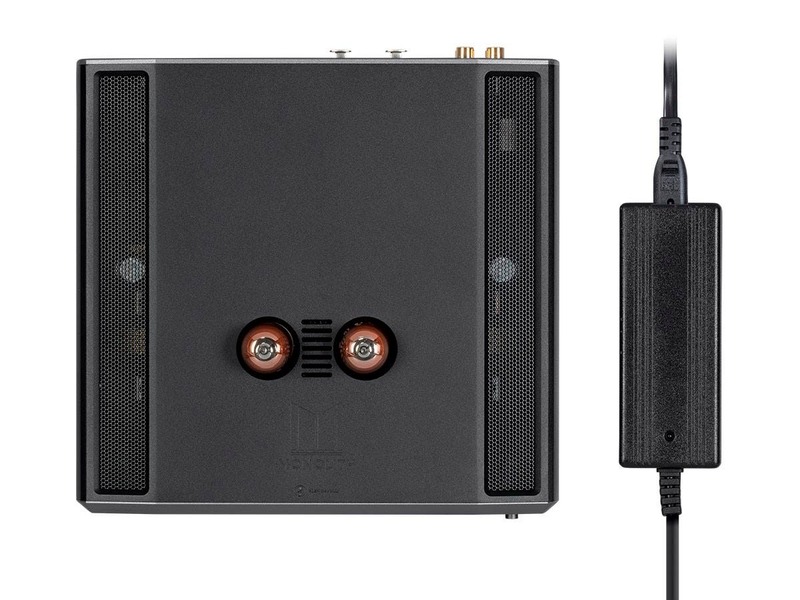 Has exceeded my expectations, although I shouldn't be surprised, since it is a Cavalli amp. It has certainly lived up to the hype. First impressions - excellent build quality. Worth waiting for despite the delays to official release. 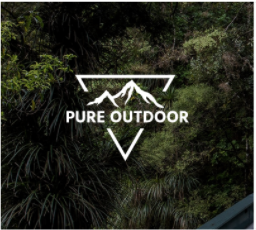 Subjectively, the liquid platinum is very musical yet detailed, a smooth and airy sound that is enjoyable for hours. 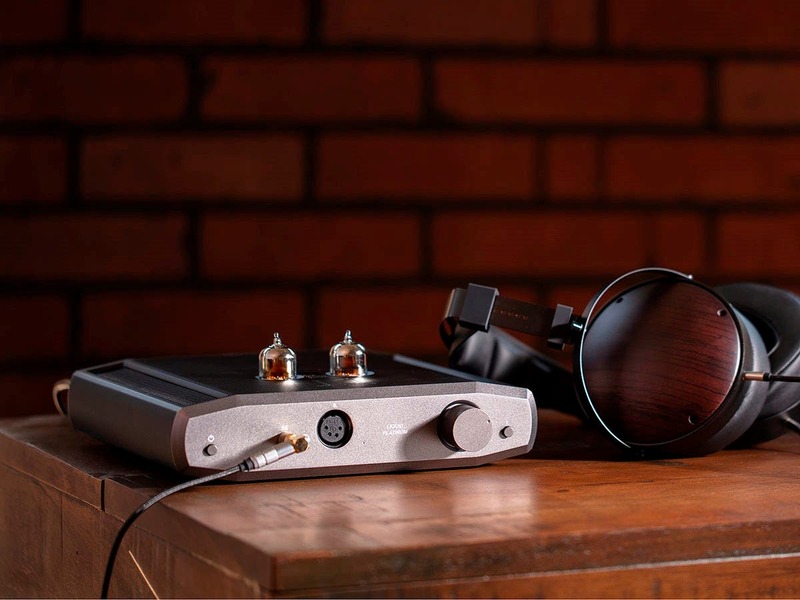 It drives both high impedence headphones and power hungry planars easily. 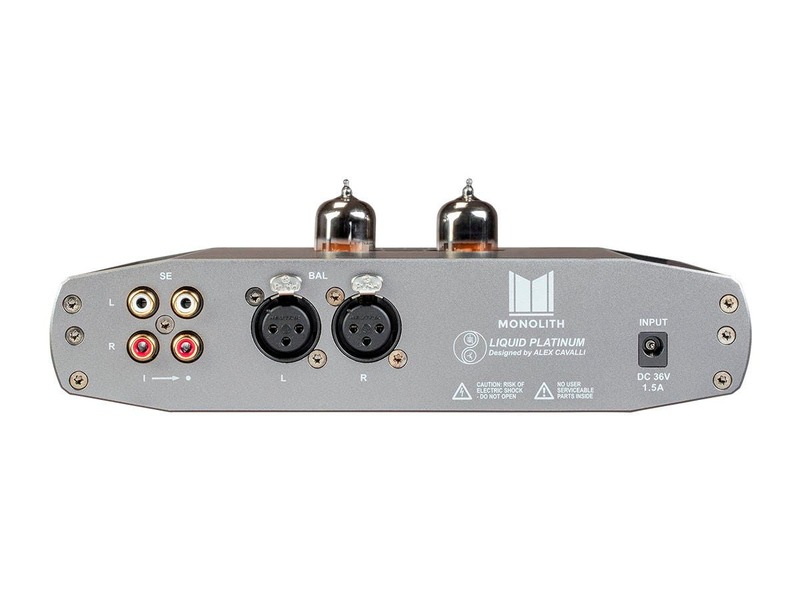 Bravo to Dr Cavali & Monoprice for delivering this headamp to us enthusiasts, 5 stars!